Yogesh Chabria is a world-renowned leader in the field of human potential. He started selling toys at the age of 5, came out with his first IPO when he was 12 and started investing with only Rs. 750 (around USD 10) at the age of 16. Yogesh has a Master's Degree in Business and Managerial Economics. 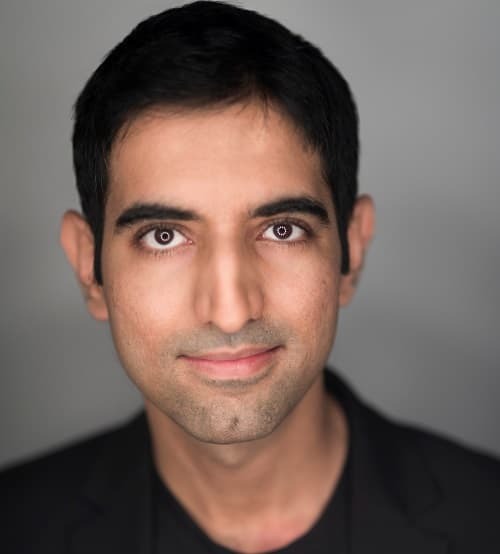 Apart from being an entrepreneur, a bestselling author and a speaker, he is the founder of 'The Happionaire Way' - that works with organizations to help them achieve their goals such as accelerating sales and profits, multiplying efficiency and bringing in a culture of happiness through detailed strategies and training programs that influence the mind. In this exclusive interview with CrazyEngineers, we got Mr. Yogesh Chabria to talk about his growing up years, his professional journey till date, what he thinks about success, competition and more. Read on! Yogesh Chabria: I’m still growing up every moment – who says I have grown up? Jokes apart, as kids, we didn’t have a lot of money. We couldn’t even afford the auto rickshaw – but I used to have a lot of fun. I loved playing pranks, reading and I also loved business. I started selling toys when I was 5 and used to sell comics and t-shirts in school. My parents always encouraged me to explore the world and taught me to live life without fear! Yogesh Chabria: I don’t look at The Happionaire Way as a business. It’s a passion to change the world and to make it a better place. I believe everyone deserves to live life on their terms and be happy. I believe everyone can succeed and discover their true inner potential. While we might face pain temporarily, we don’t have to suffer! It is these ideas, thoughts and my own challenges that helped me start The Happionaire Way. For me success means fulfillment and satisfaction in every area of life – personal, mental, physical health, finances, with our relationships and to have complete peace of mind. CE: What is the story behind the name "Happionaire"? Please tell our readers how Happionaire works and who is your target audience. Yogesh Chabria: The name just came to me. A voice spoke to me and I felt a connect with it. The world has so many millionaires and billionaires, soon we will have trillionaires, however what we truly want and desire is to be in an inner state of happiness and bliss, isn’t it? We love touching the lives of people all over the world with our seminars, training programs, books, videos, TV shows and articles. For corporates, our events and programs help them multiply sales, increase happiness and passion levels and move people to the next level. For individuals, we provide tools and strategies to discover their true inner goals and potential. Our target audience is anyone who wants to be happy and move up to the next level – which I’m sure is almost 7 billion people today! CE: How do you plan to expand your reach to your target audience? Yogesh Chabria: By being innovative and providing real value to start with. Everyone who has experienced the change that comes in their life by being a part of The Happionaire Way, automatically spreads the message to more and more people. Every seminar I do usually has between 500 to 10,000 people – each one of them who benefit go on to share their experiences with others. I also use a lot of interesting web content – my next online event is going to have over 100,000 people. And of course, I also regularly have columns and interviews on TV, newspapers, radio and magazines. My focus is always to help people, the target market automatically grows! CE: Other than deciding to work for yourself, what was the single most important decision you made that contributed to your success? Yogesh Chabria: Have a goal – and work towards it with complete passion and dedication till you achieve it! Yogesh Chabria: Yogesh Chabria is a monopoly! Be so incredible that you have no competition. CE: What are the most important traits and talents to have in starting and running a business? And which is more rewarding: making your startup a success, or being able to continue keeping it successful? Yogesh Chabria: The most important trait is to love what you are doing – no matter if it is business, life or career. Love what you do and don’t listen to anyone who discourages you. Both are equally rewarding, first creating something and then growing it. CE: What are the risks and rewards of being an entrepreneur? Yogesh Chabria: The biggest risk is that you are going to have so much fun that you won’t know how to handle it. I guess that is also a reward! Yogesh Chabria: Love more, laugh more, play more and go ahead and do what you want to! 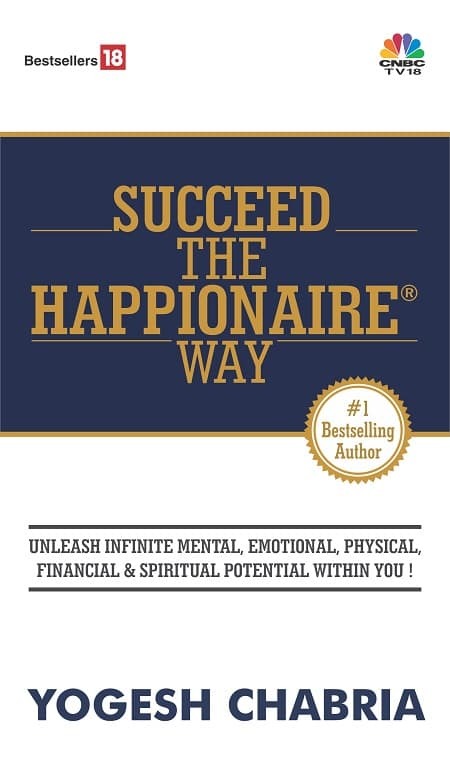 Oh and most importantly –make sure you get a copy of Succeed The Happionaire Way and tell all your friends, family and loved ones how much you loved it!